Thousands of homeless dogs and cats undergo treatment and surgery at our shelter hospital each year. Some pets need routine vet care, while others need complex or life-saving operations. 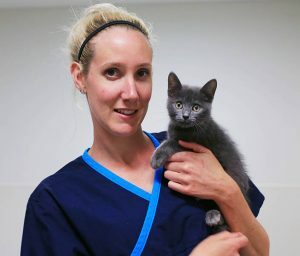 Whether it’s desexing, dental work, orthopaedics, eye surgery, or anything in between, the dedicated vets and nurses at our shelter hospital and Frank Samways Veterinary Clinic are determined to give their furry patients the best possible chance at a happy, healthy future. 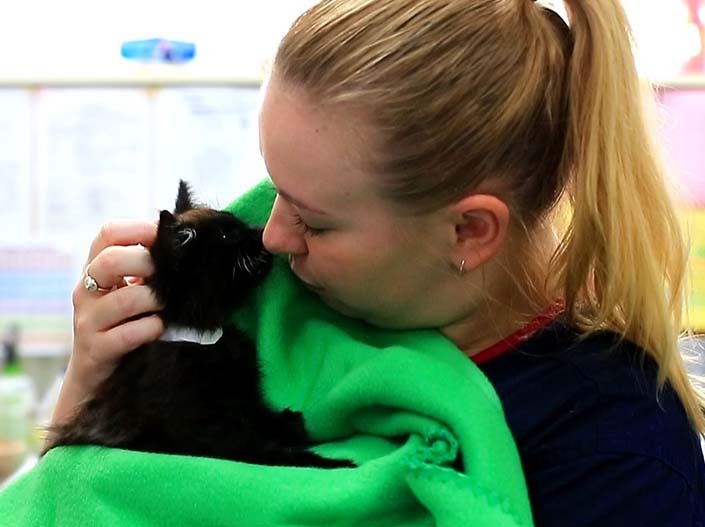 Today, on World Veterinary Day, we’re telling the stories of some homeless pets who recently arrived at our shelter sick or injured, and how our vets and nurses helped give them a second chance at life. When she arrived at our shelter, stray kitten Victoria was dehydrated and had a mass in her abdomen. An ultrasound showed that part of Victoria’s intestine had slid within itself. 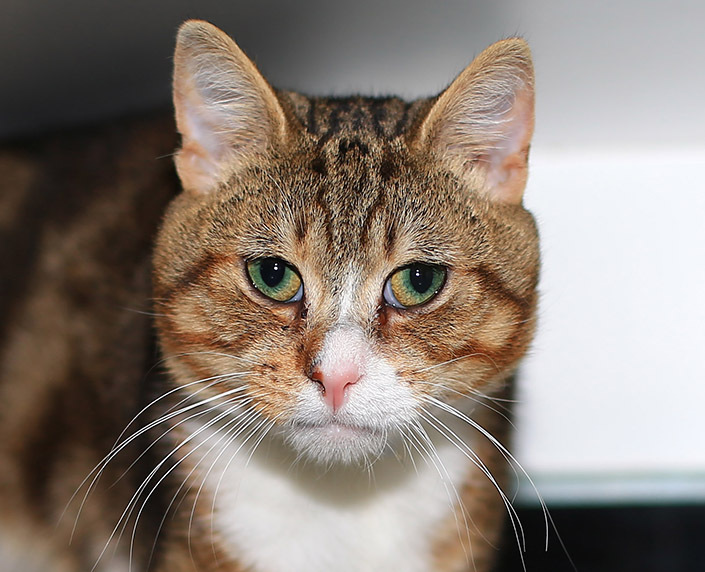 This painful and potentially fatal condition meant that she had to be rushed into emergency surgery at the shelter hospital. During surgery, vets uncovered a large section of the intestine that was bruised and with dead tissue. It was a delicate operation to repair the condition, but a successful one. Victoria spent time in foster care with a vet nurse while she recovered from her major surgery. She was soon back to her playful self and found a wonderful new home. 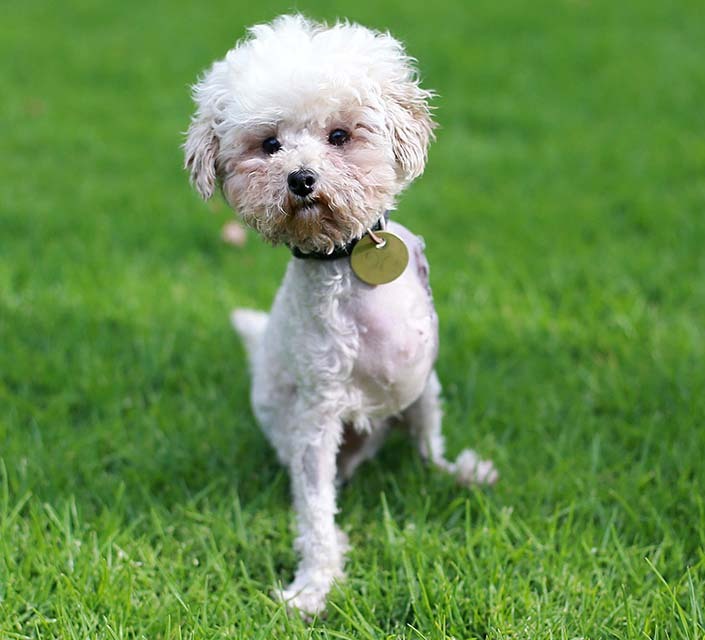 As soon as we met Pip, our team noticed something was wrong with one of his legs. It was deformed and Pip wasn’t able to walk properly. X-rays confirmed that Pip had an old fracture in his front left leg. The fracture hadn’t healed properly, and the joints in his leg had collapsed. Given that it was an old and complex injury, surgery was needed to amputate the leg in order to give Pip a good quality of life. Pip made a smooth recovery from his surgery and was bouncing around in no time. A week after the surgery, he was ready to go up for adoption. He found a new home very quickly – in just three hours! Stray kitten Bonny came to us with a congenital condition in her right eye. The eye was noticeably smaller than her left eye, and also had a dilated pupil and inflammation. Bonny’s eye was causing a lot of discomfort. To give her a happy, healthy future, vets surgically removed the eye. Bonny’s wound recovered well and she was still as smoochy as ever, so it didn’t take long for her to find a new home. Bentley, an Australian bulldog, found it difficult to breathe easily. 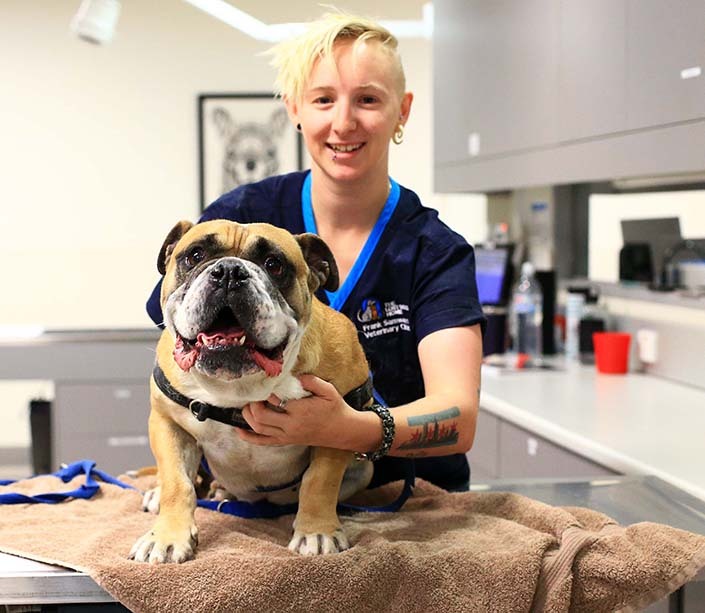 Sadly, it isn’t uncommon for dogs like Bentley (those with a short nose and flat face) to experience troubles with their airways, known as brachycephalic airway syndrome. To remove the obstruction, vets surgically removed parts of tissue in Bentley’s throat, which helped to widen his airway. Bentley also had a skin condition and poor conformation of his body structure, both of which could be comfortably managed but may require treatment later in life. Bentley found a devoted family prepared to give him this special care. Squid came to us with a deformed front right leg. The small bones in his wrist joint were misaligned, likely caused by an old injury or genetic deformity. There was an abnormal bend in the leg, leaving Squid unable to walk properly. In the best interests of Squid’s long-term well-being, vets amputated the leg. 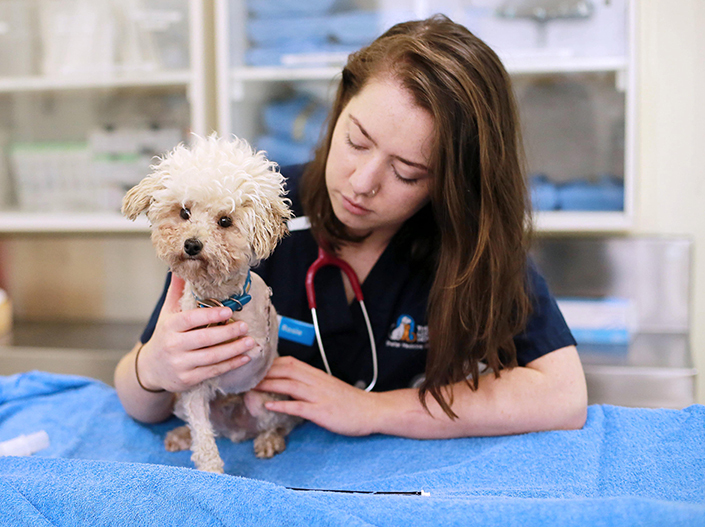 Squid recovered under the watchful eye of vets and nurses in our hospital ward. He quickly adjusted to life on three paws and soon found his forever home. Our hospital can only keep up and running thanks to the support of animal lovers like you. Your gift today will help our vets and nurses continue to change the lives of sick and injured pets.